Your initial consultation with our professional, licensed therapist is free. 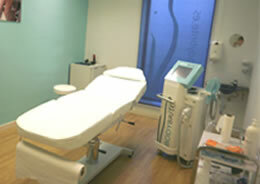 The therapist will review the process with you to receive a patch test. Please pick a time that you will be able to return for follow-up two days later. 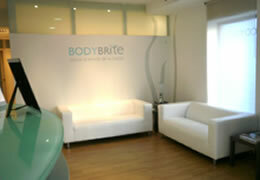 Body Brite adheres to a strict Cancellation Policy. Notification of 24 hours prior to your treatment being cancelled/rescheduled is required. You will incur a fee of 50% Monday-Friday and 100% at weekends of the total cost of treatments, if 24 hours notice is not given. Courses, vouchers and gift receipts are non refundable and non transferable. Retail products are non refundable. If you are late for your appointment, your treatment time will be reduced and the full price of the treatment must be paid. We require full credit /debit card details to secure a reservation. This is compulsory for all treatments, including pre paid vouchers and courses. 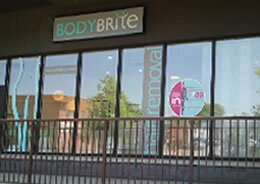 Failure to provide these details will prevent us from treating you as a client of Body Brite.